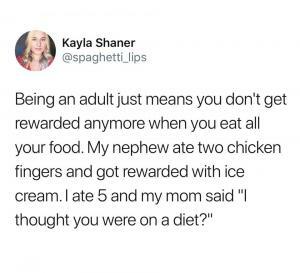 Being an adult just means you don't get rewarded anymore when you eat all your food. My nephew ate two chicken fingers and got rewarded with ice cream. I ate 5 and my mom said "I thought you were on a diet?" 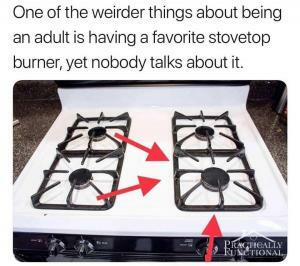 One of thee weirder things about being an adult is having a favorite stovetop burner, yet nobody talks about it. 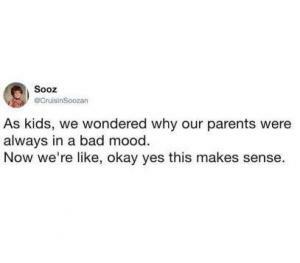 As kids, we wondered why our parents were always in a bad mood. 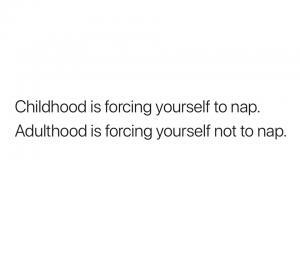 Now we're like, okay yes this makes sense. 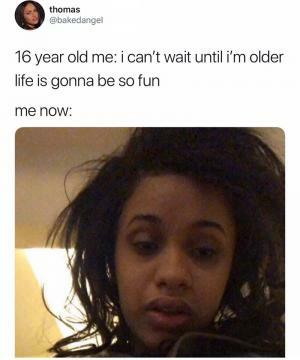 oh you almost had it! 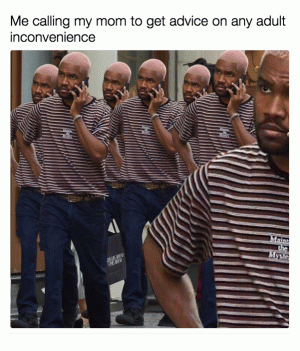 you gotta be quicker than that! "i haven't won a game of jenga since 1997."